Baltimore has had a lot of press (most of it good) in the past 20 years as an innovator among U.S. cities. The renovation of what is now known as the Inner Harbor is heralded as a model of how to turn a decrepit area into a vibrant tourist attraction. In the ensuing years the National Aquarium, Oriole Park at Camden Yards, The Maryland Science Center, to name just a few, were added to the Inner Harbor area and became widely copied throughout the U.S. due to their success. Come explore our rooms and suites to start planning your trip! While visiting this popular city, make sure to check out these incredible attractions. The USS Constellation is one of the crown jewels in Baltimore’s Inner Harbor. Marrying past and present, the USS Constellation is a time machine into American history while still contributing to Baltimore’s story today. The National Aquarium in Baltimore is one of the world’s best aquariums. Featuring a living collection of more than 17,000 fish, reptiles, amphibians, birds and marine mammals, the aquarium houses them in award-winning habitats. 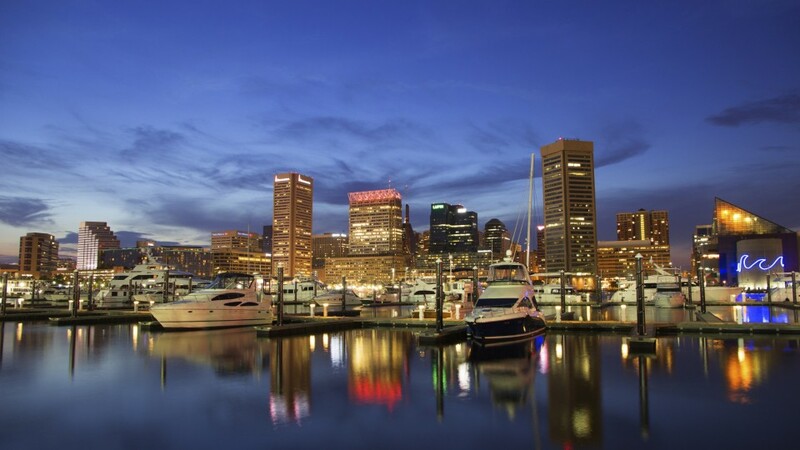 The Inner Harbor is one of the main draws to this city. It’s steeped in history, science, culture, nightlife – everything you could want in one convenient, beautiful location. At the Inner Harbor Baltimore, you’ll find an array of restaurants, family-friendly museums and, of course, some maritime and local history. Repeatedly recognized for its enduring excellence, the Baltimore Symphony really engages the community with its performances, education, and outreach. The Baltimore Symphony Orchestra brings international-caliber music programming to Maryland. Enjoy your time in Baltimore by planning a group night out at the casino. The Horseshoe Casino in Baltimore has everything you’d come to expect from a Las Vegas casino, but right in Charm City. Although its history dates back more than 200 years, the Maryland Science Center stays on the cutting edge of bringing science to the public. Since 1976, this incredible building on Baltimore’s Inner Harbor has offered exciting enrichment programs and engaged exhibits to visitors. The Walters Art Museum is located in downtown Baltimore’s historic Mount Vernon Cultural District. At the time of his death in 1931, museum founder Henry Walters left his entire collection of art to the city of Baltimore. His collection includes ancient art,Asian art, medieval art and manuscripts, decorative objects, and 19th-century paintings. Poe enthusiasts and literature lovers will enjoy a visit to Poe Baltimore, the Edgar Allan Poe house and museum. Poe’s home has been preserved with much of the exterior and interior original fabric (although the house isn’t furnished). The Baltimore Train Museum is one of the most significant collections of railroad treasures in the world. The museum is located in Mount Clare which is considered to be a birthplace of American railroading. When you visit the Maryland Zoo in Baltimore, you’re visiting one of the nation’s oldest zoos! Originally established in 1876, this zoo offers the chance to view nearly 200 species of animals across over 135 acres. If you’re dreaming of a trip to Italy, you can still get a little taste of Italy by visiting one of the many delicious restaurants, cafes, and bakeries in Baltimore’s Little Italy. Featuring authentic Italian food, this popular section of Baltimore is a great place to enjoy a romantic meal while you’re visiting the area.